Elisabeth Elo's latest book, Finding Katarina M., is about Natalie Marsh, a Washington D.C. physician whose mother, a Russian immigrant, is haunted by the fact her parents were sent to the Russian gulag when she was a baby. Then Natalie discovers her grandmother may still be alive. As Elisabeth takes us on an extraordinary journey across Siberia, Natalie must decide how far she will go heal her mother's pain and protect her family and country from a dangerous threat. Growing up in Boston, Elisabeth attended Brown University, and earned a PhD in American Literature at Brandeis University. She has published scholarly articles on subjects as diverse as Walt Whitman and Cinderella, and her essays and Pushcart-nominated short stories have appeared in a variety of publications. 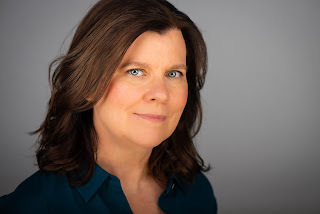 She worked as a magazine editor, a high-tech product manager, and a halfway house counselor before beginning to write fiction. Her first book, North of Boston, received a starred review in Publisher's Weekly and was named a Booklist Crime Fiction Debut of the Year in 2014. There’s no question that the first sentence is harder, maybe the hardest of all. Everything has to be right: the voice, the tone, the setting. What the sentence is about ought to be what the book is about, too. Oh, and it should fire up the plot. That’s a tall order! I have no idea how to accomplish all that in one sentence, but I try. The first sentence of FINDING KATARINA M. is terribly mundane: “There’s one more person to see you,” my assistant said. Not anything to brag about. But it does nod in the direction of one of the most common and durable plots in storytelling: A stranger comes to town. Only Natalie, the main character, is soon to become that travelling stranger herself. Serendipity. I was asked that question in a job interview once, and I gave that answer and got the job. So that’s been my favorite word ever since. I write at home sitting at my desk. I used to go to coffee shops or libraries, but there was a lot of going and setting up and then closing down and coming home, not to mention parking, so in the end I found it simpler to just stay home and get to work. The coffee isn’t as good, but it’s cheaper, and now I have a dog and I don’t want to leave him alone for hours. So here I stay. I usually keep a vase of fresh flowers on my desk, so that makes it special. What do you do when you need to take a break from writing? I go into the kitchen and look through the cabinets for something to eat. There usually isn’t anything because I rarely go grocery shopping. I get frustrated, smear some peanut butter on crackers, turn on the TV, watch three minutes of the prevailing network news insanity, shut the TV off in horror and disgust, and go back to work. Then I remember music and turn on my favorite Apple music jazz station. That usually calms me down. If that tried-and-true sequence fails, I take the dog for a walk around the block. If you could have lived in a different time period, what would that be? I don’t want to live in any era of the past. For me, the past is full of horrifying wars, gross inhumanity, sexism, racism, poverty, and terrible diseases. Given what I just said, you might find it hard to believe that I’m actually a starry-eyed optimist. I agree with Martin Luther King Jr. that “The arc of the moral universe is long, but it bends toward justice.” I want to live in a more just future where amazing scientific advances have alleviated most forms of human suffering, and where we’ve all grown much kinder to children and more respectful of the elderly. I figure that’s…hmm, the year 3015? With any luck, the planet will still be around. If I say a skim decaf latte, will you still want to talk to me? When you were ten years old, what did you want to be when you grew up? I love this question. It’s so much fun to remember how confidently and enthusiastically my childhood-self dreamed about the future. My very first chosen profession was movie star. Around nine years old, that switched to architect. A perfectly logical transition, as anyone can see. My mother was fluent in poetry and talked about famous fictional characters as if they lived next door. Because of her, I grew up thinking that words and stories were a portal into the only world that really mattered, the one where meanings and emotions and true understandings lived. Do you write what you know or what you want to know? When I write about relationships, I’m writing about what I’ve experienced or observed. In every character I create, there’s some sliver of a real person from my life. But I also love taking my characters and myself to unusual places where we are completely out of our depth and have to adapt quickly to survive. I always want to be learning new things when I read and write, not just stumbling about in the kinds of situations I already know too well. Thank you, Elisabeth. Finding Katarina M. went on sale March 19th. I'm reading my copy now. Let's compare notes. Meanwhile, when you were ten years old, what did you want to be when you grew up? What a fascinating new novel, Elizabeth. 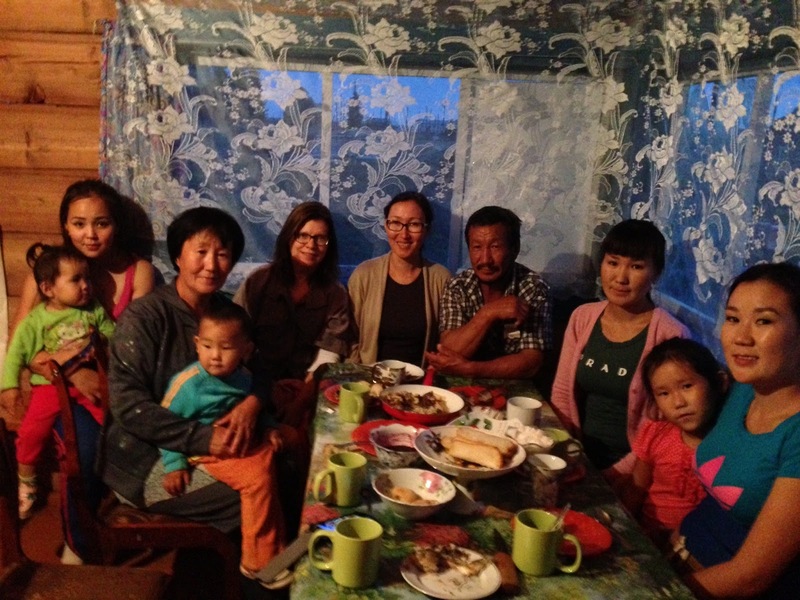 I love your research and am envious of your trip into Siberia. Also, I have the same issue with the first word of a book. It feels so momentous, but once I break the literary ice on it, I get a tremendous surge of excitement, and the journey ahead doesn't look nearly as daunting. 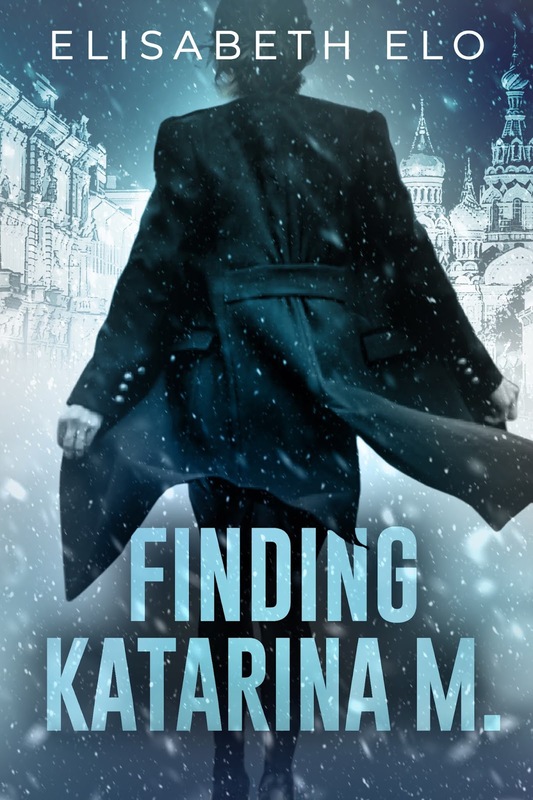 I'm looking forward to reading Finding Katarina M! Serendipity is my favorite word as well! Love the idea of flowers on the desk. That might be enough motivation for me to keep it clean--once I clean it, that is. Can't wait to check out FINDING KATARINA M, Elizabeth. It sounds fascinating! Thanks so much for stopping by! I just much enjoyed North of Boston - so looking forward to your new book. I am also fascinated by characters of Russian origin - and by Russia itself - as Churchill once described Russia - the riddle wrapped inside an enigma. I agree. Peanut butter crackers soothe a lot of ills! Hi Elisabeth: FINDING KATARINA M sounds wonderful! Love the idea of a granddaughter looking for her lost grandmother in the Gulag. Intriguing and atmospheric. Looking forward to reading this one! And as an aside, what is your favorite Apple jazz station? I usually hit up Sonos when I'm on writing/coffee/running break and will check it out. Thanks for the post!